Kim Jong Un won't be going home empty-handed. He may have overplayed his hand on sanctions, but he demonstrated he is capable of playing hardball — a capability President Donald Trump won't likely forget. His gut proved wrong. A few hours later, he was speeding back to his Hanoi hotel, with no deal at all . 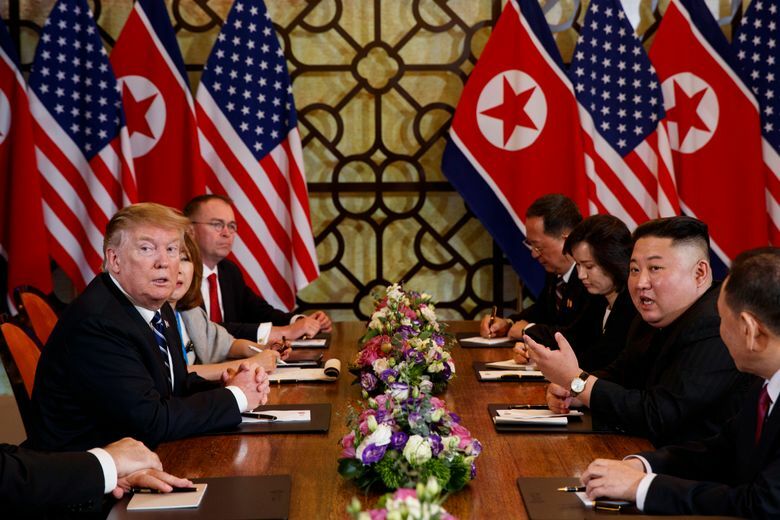 Gauging Kim’s calculus in a negotiation is never easy, but the ending to his two days in Hanoi with Trump seemed like a major disaster. 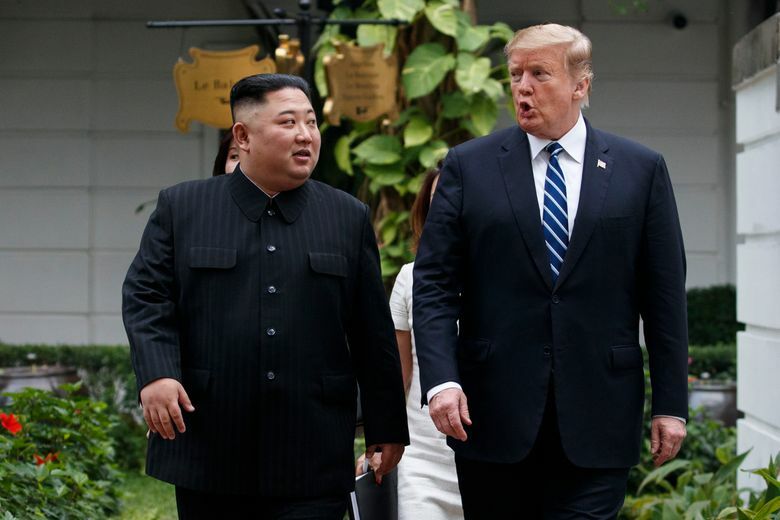 Kim came to Hanoi seeking sanctions relief, which Trump said he simply could not give. 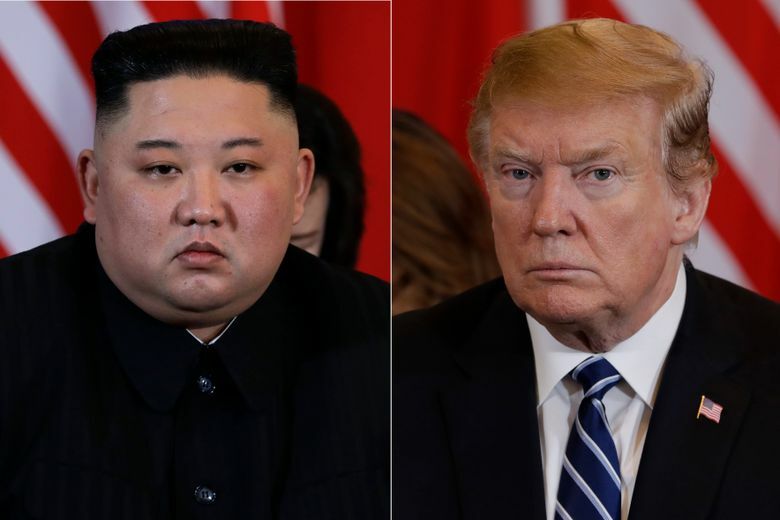 Before Thursday’s sudden rupture, Kim even seemed to be on the verge of something that had eluded his father and grandfather — a declaration by the U.S. president of the end of the Korean War. That, too, was not to be. But Kim won’t be going home empty-handed. Kim may have overplayed his hand on sanctions, but he demonstrated he is capable of playing hardball — a capability Trump won’t likely forget. 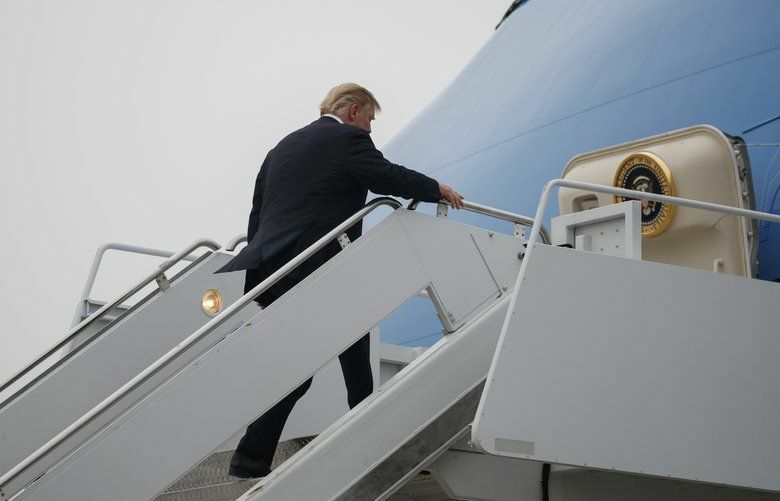 He walks away with arguably more legitimacy than he had before, having convinced the most powerful man in the world to come to Asia a second time in less than nine months. Even in announcing that the talks had failed, Trump continued to praise Kim, stressing that the summit had been generally friendly and constructive. More importantly, Trump left the door open for negotiations to continue. Kim can work with that. He has already made big strides toward undercutting support for sanctions in China and South Korea and can be expected to try to keep pushing them farther away from Washington’s increasingly fragile policy of maximum pressure. 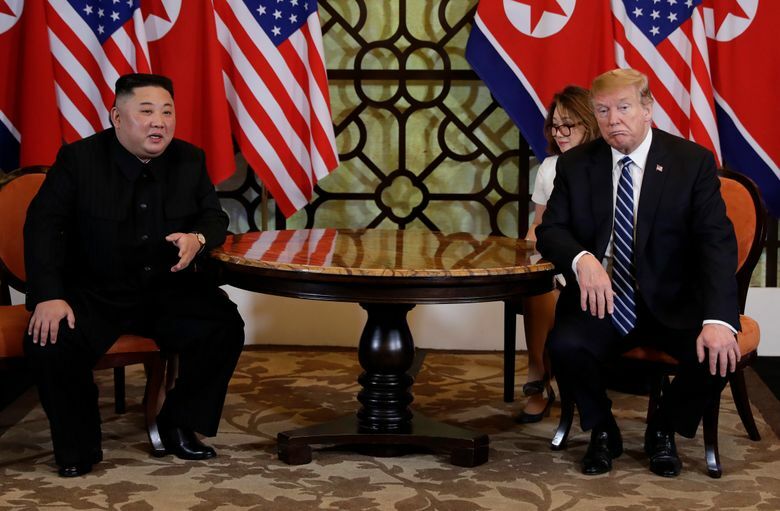 Trump said Kim vowed to maintain his moratorium on missile launches and nuclear tests, so the lack of an agreement in Hanoi doesn’t necessarily mean all sides must immediately revert to crisis mode. Throughout the negotiation process so far, North Korea’s state media have been extremely careful not to criticize Trump directly, focusing their ire instead on lower-level officials like Secretary of State Mike Pompeo and National Security Adviser John Bolton. It remains to be seen how the North’s propaganda machine will spin the Hanoi outcome, but it would seem unlikely that their deference to Trump will change dramatically. Wittingly or not, Trump has repeatedly helped Kim establish himself as a leader on the world stage. In his news conference, Trump seemed to almost argue one of Kim’s talking points, suggesting that military exercises are expensive and not entirely necessary. The U.S. maintains nearly 30,000 troops in South Korea and their joint exercises with the South’s military have long been a major source of concern in North Korea, which sees the maneuvers as a dress rehearsal for war. Trump hasn’t called for their removal or for an end to the exercises, but he seems to be receptive to Kim’s complaints. Even as his talks with Washington have bogged down, Kim has largely erased the one-dimensional image of North Korean leaders since he emerged one year ago to hold a surprisingly successful and effective series of summits with the leaders of China and South Korea and with Trump. In Hanoi, he was congenial and diplomatic in his interactions with the U.S. president. But he stood firm in his refusal to give up the country’s crown jewels — its hard-won and expensive nuclear program — for an offer that the North would consider second-rate. 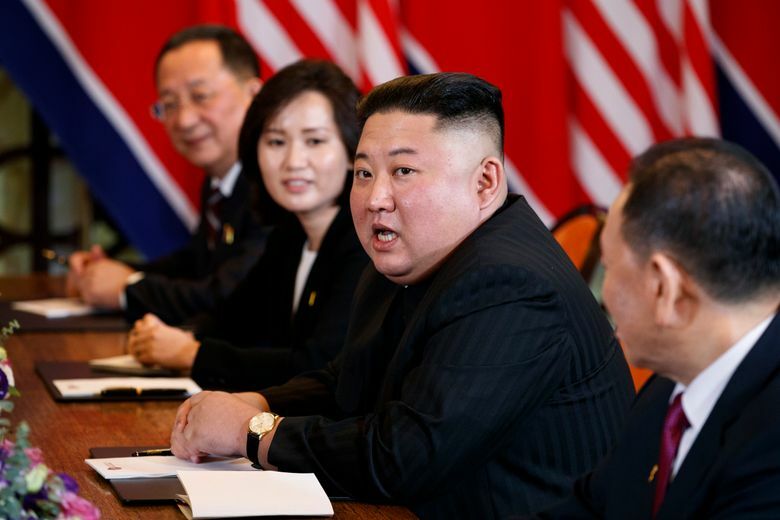 Not agreeing to a deal means North Korea can potentially carry out further work on its nuclear and conventional weapons programs, upping the stakes in future talks. And the lack of a fiery ending or angry words — at least in public — further boosts Kim’s stature. In Hanoi, as in Singapore, he showed a more human face than is presented in state-controlled media back home. He was at turns stern and smiling, confident but respectful in his dealings with his older counterpart. He was even caught having an all-too-human smoke break while on his way by train to Vietnam, standing on a train platform and lighting his own cigarette with an old-school match before his doting sister delivered an ashtray to him. While he relied on translators, he was heard speaking English when greeting Trump. He also took a real risk by engaging Western reporters’ questions for the first time. Unlike Trump, who immediately boarded Air Force One for Washington, Kim isn’t rushing out of Hanoi after the summit. He is expected to stay until Saturday and will spend his remaining time sightseeing and meeting Vietnamese officials on what is being billed as a “friendly visit.” That gives him a chance to present to both the world and his domestic audience the image that his meeting with Trump was just one part of a larger, multipronged trip. Kim also will be going back to a public that, according to the state media at least, has been losing sleep as it reverently longs for his return. Whether that’s true or not, he is surely likely to avoid the same sort of political fires that await Trump.